Every year, since 1995, August 09 is observed as the International Day of the World’s Indigenous Peoples where every person is “encouraged to spread the UN’s message on the protection and promotion of the rights of indigenous peoples.”  23 years on, and states still need to be reminded to respect, recognise and protect the rights of indigenous peoples the world over. 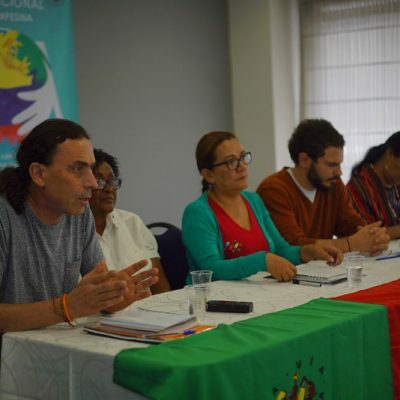 Indigenous peoples still struggle to defend themselves and their territories against harsh laws and policies, merciless killings, destruction and atrocious development plans. Indigenous territories are bastions of ecologically sustainable ways of life. It is no accident that the remaining high biodiversity and resource rich areas in today’s globalised world are ancestral domains of indigenous peoples. While this provides reason for celebrating indigenous lands, rights, and culture, it is also for the same reason that corporations and governments are targeting indigenous territories for plunder of resources. A recent incident in Malaysia shows how difficult and sometimes dangerous it is for indigenous peoples to continue defending their ancestral territories. Since 15 February 2018, the Orang Asli community from the Temiar tribe had set up several blockades in Cawas, Simpor, Kampung Kuala Wok in Gua Musang District, Ulu Kelantan, to prevent logging, mining and large-scale plantations in the Permanent Reserve Forests in Kelantan. The community has been manning the various blockades day and night to ensure that no encroachments happen on their customary territories. For years, the Orang Asli of Gua Musang have been struggling to have their customary territories recognised and respected by the state, however, none has been forthcoming. On 04 August 2018, the blockade set up by the Orang Asli at Kaleg in Pos Tohoi in Kelantan was violently demolished allegedly by workers from a durian plantation company which has encroached into the territory of the Temiar community. The demolition took place just two days after a huge team comprising the (Federal) Deputy Minister for Rural Development, representatives from the police force, representatives from a few government agencies and the Orang Asli Development Department had come to visit the blockade site to discuss the plight of the Temiar community and a solution to their problems. 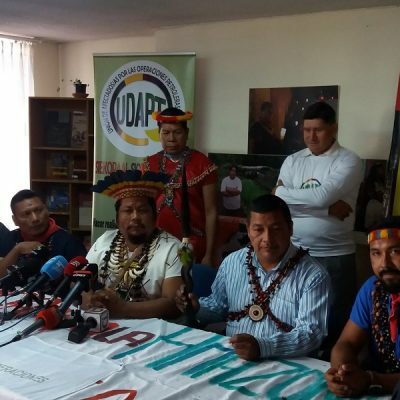 “We strongly denounce these acts of threats and violence against indigenous peoples and we urgently call on the Malaysian government to take severe action against the perpetrators of this violation. Indigenous peoples are the custodians of the forests and respecting their rights and their traditional knowledge is vital for the protection and preservation of the planet,” said Meenakshi Raman, honorary secretary of Sahabat Alam Malaysia (Friends of the Earth Malaysia). Elsewhere in Asia Pacific, in the Philippines, indigenous peoples who belong to the T’boli-Manobo S’daf Claimants Organizations (TAMASCO) in South Cotabato are locked in a decades-long struggle with Silvicultural Industries Incorporated (SII) over a coffee plantation that has encroached on the ancestral domain on TAMASCO. SII is a subsidiary of the David M Consungji, Inc. (DMCI), one of the largest home-grown companies in the Philippines. 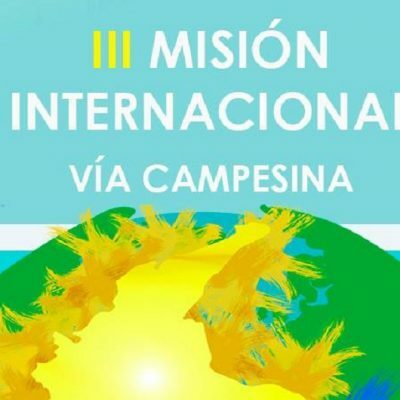 In December 2017, seven members of TAMASCO were killed, allegedly in a crossfire between the military and rebel forces. In an article in The Guardian, TAMASCO connects the killings to their campaign to regain their land. “Cases like this are rampant in the Philippines. Living in remote places of the country, indigenous peoples are vulnerable to the machinations of big corporations. It is tragic that oftentimes, because of the economic contributions of large plantations, the government does not prioritise the protection and promotion of the rights of indigenous peoples,” said Norly Mercado executive director of Legal Rights and Natural Resources Centre/Kasama Sa Kalikasan (Friends of the Earth Philippines) and member of the Friends of the Earth Asia Pacific (FoE APac) Majelis (Executive Committee). “Instead of pushing for large-scale agribusiness projects, the government must invest in sustainable development programs, such as climate-resilient agriculture projects, and support projects that indigenous peoples themselves choose. 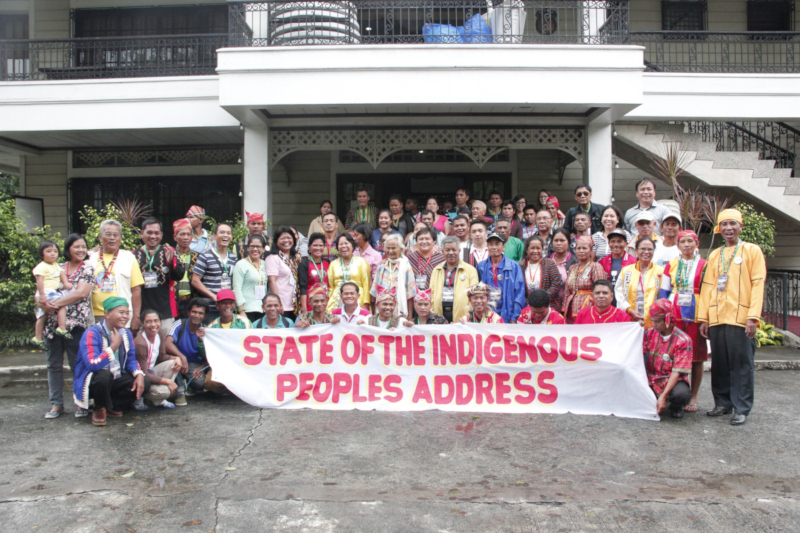 This is the principle behind the indigenous peoples’ right to self-determination,” said Mercado. The above incidents only show a glimpse of the daily struggles and persecution of indigenous communities everywhere. This must stop! 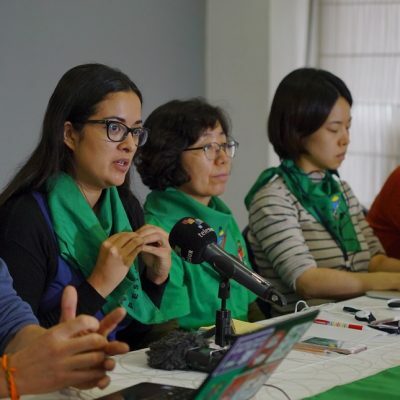 FoE Asia Pacific demands that states immediately and fully observe and implement the UN Declaration on the Rights of Indigenous Peoples (UNDRIP) and that every government agrees to and ratifies the UN Binding Treaty on the Accountability of Transnational Corporations.